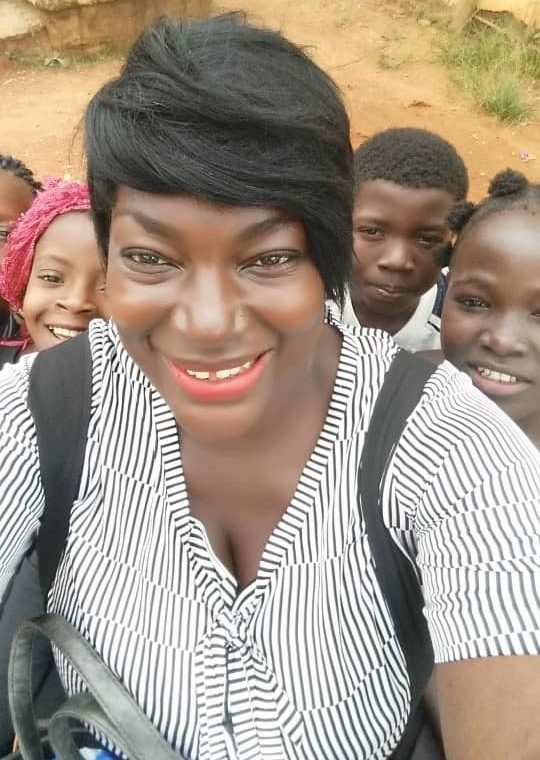 Mokwe Elomo Jemea (pictured below), from Cameroon, a mother of three not only shows her motherly love to her children but spreads it to other children through a noble exercise that helps to keep girls in school where 40 percent drop out in Africa before the age of 18. Early child marriage is a harmful practice which is still existing across Africa and affects millions of girls. All African countries are faced with the challenge of child marriage, whether they experience high child marriage prevalence, such as Niger (76%) or lower rates like Algeria (3%). Jemea is reaching out to vulnerable children and helping them to access education and health. 'I have that edge to contribute in making life better for the less privileged in society and to make the world better. I believe we are here for each other thus it is our duty to assist one another; to give out more love...." she says. "A conducive learning environment is one of the factors which favour quality education." The hardworking lady is also an advocate for Gender Equality and has this message for young girls: "My advice to young girls is that they should take their education seriously. That's your first husband," she insists. “Secondly," she adds, "They should follow their passion. That is what is going to take you far in life and make you a great woman. Never ever compromise neither your education nor your dreams for another person's opinion." Jemea’s work came to light on the International Youth Day (IYD) which is commemorated in August of each year. This year’s theme for International Youth Day 2018 was “Safe Spaces for Youth”. In Cameroon events facilitated a dialogue on safe spaces between governments, UN agencies, academia, civil society, and -most importantly- youth groups, with the goal of offering practical solutions to the challenges of creating youth-friendly spaces. 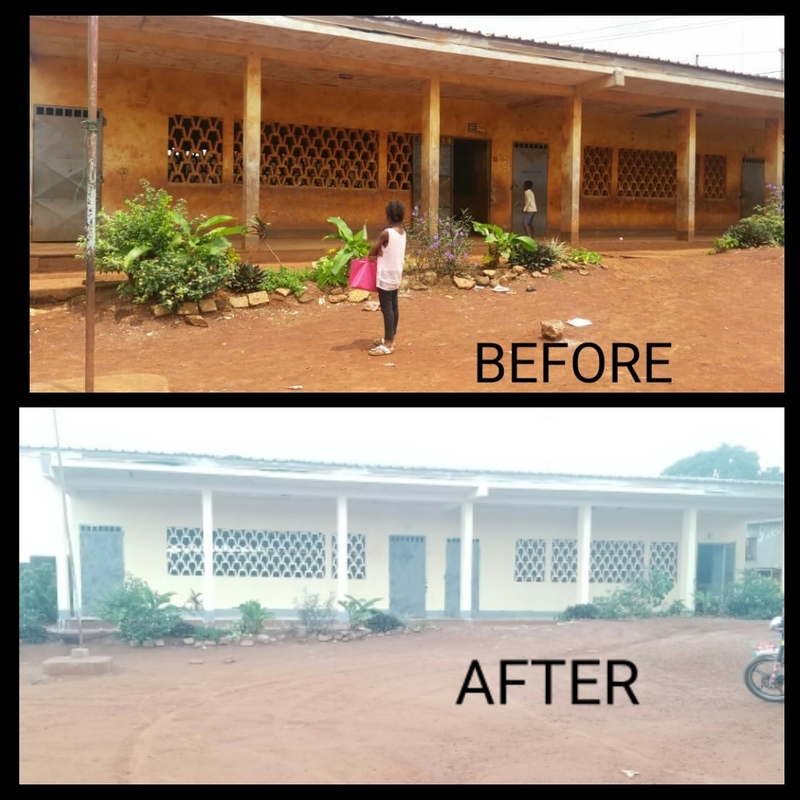 To mark this day the pupils and staff of the Government Bilingual Primary School (GBPS) Etougebe, Yaounde together with the Young African Leaders Initiative Network (YALI) member, Jemea and some volunteers chose to re-paint the walls of the school. Jemea, a holder of a BSc in Law and a Masters Degree in International cooperation and humanitarian Action, the event was part of the #YALISERVICES aimed at creating the awareness in the youth on the importance of community service or volunteerism encouraged by the late international icon and apartheid activist Nelson Mandela. Globally countries remember the late icon through activities that emulate his life and these are held during the Nelson Mandela Day, on July 18 and the International Youth Day, which is held August 12. 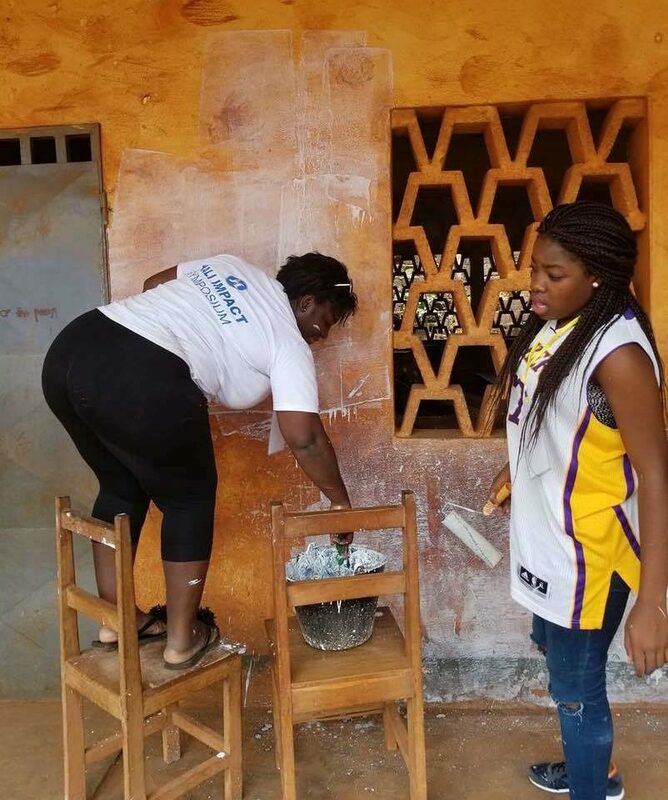 The YALI Network member further adds that her school beautification project (through painting) falls under Goal No 4 of the SDGs which upholds quality education. Mokwe and her team after a successful day of painting. 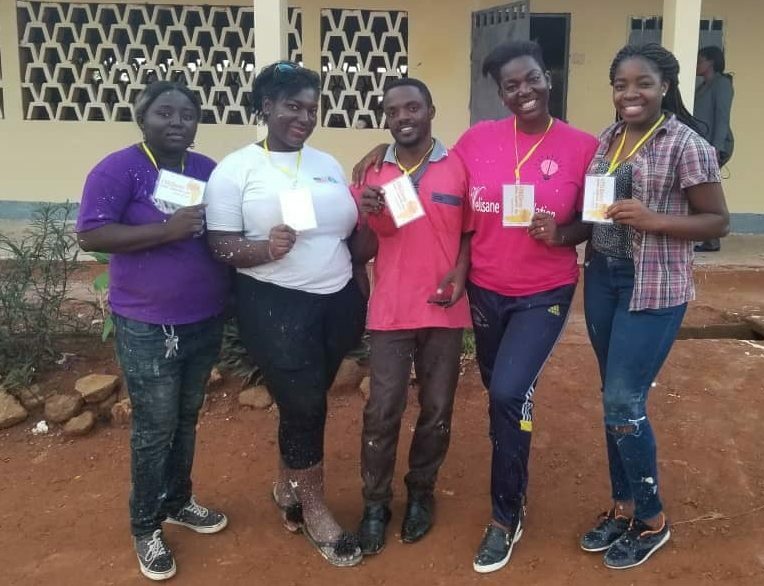 Her initiative is not only in line with the SDGs but also buttresses the theme of this edition of the International Youth Day, "Safe Spaces for Youth"...Yes, the youth of GBPS Yaounde now have an even safer space for their educational pursuits. Jemea is a Humanitarian, a civic leader, the country director / ambassador of Opportunities for African Youths and an advocate for gender equality. She is also the founder of Aid Refugee Children, a humanitarian NGO dedicated to supporting the most vulnerable refugee children in health and education. 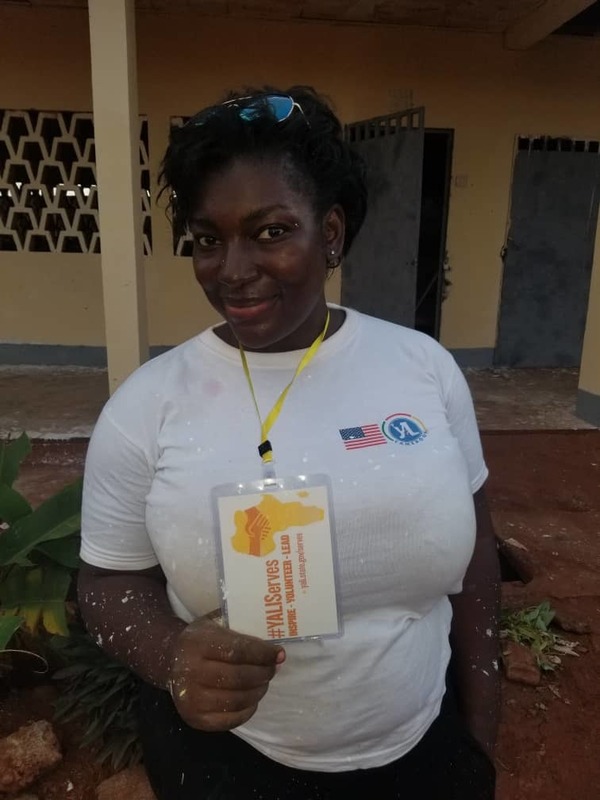 The mother of three has used her NGO since its creation in 2016 to reach out to vulnerable refugee children in health and education in Cameroon. Her driving force is her passion for humanity. Being a wife, mother and an entrepreneur all at once is not always easy to manage but Jemea has a recipe which might go a long way in helping other working moms. "I make sure I draw up a to-do list for the next day. That's the last thing I do before going to bed and I make sure I keep to time. This helps me to achieve what I have planned for the day. So, when it's time for the family, I make sure I don't bring in my career and vice versa," she explains.